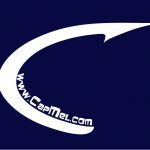 The conclusion of the 8th Annual Captain Mel Classic, I always take the chance to talk about our tournament sponsors. Support of this event has been great from year 1. This letter gets longer every year. Support grows every year. Same as last year, a couple of companies just didn’t come through. One had a good reason. Others it was more a case of new employees and change in structure. But ultimately support was pretty much the same as it was every year with the donations we did get excellent in size. Some stuff may just come in late. If it does I’ll just sit on it until next year. Leftovers, no expense equals higher payout. Trophies: Alex Berg has been doing the wooden trophies for us for years. I had enough left over I changed the placards on them and our winners all got Alex’s trophy. Kumpa did the two fish prints that were won by our longest trout and redfish catchers tournament wide. His art work is available on demand. Inquire if you would like me to put you in touch with him. Kumpa, a sculptor by trade, is a better artist than all the other people out there calling themselves artists. The lure sponsors: The same for eight years. Their support outstanding. Mirrolure: Awesome selection by Eric Bachnik. The participants caught some nice fish on this lure. I used extra lures left over in the raffle and people were tickled to be able to own more of them. If you are like me, you use a lot of Mirrolures year round. We thank Eric for his generous contribution for 8 YEARS. If you don’t own any Mirrolures: Why are you on this email list?? For one winner and the raffle, two specialty packs of Mirrolures. 12 Fathom: Same as every other year, Craig gave me basically anything I wanted. I set up good bags for our participants. I set up a few dozen prize packs for our winners and our raffle. People were pleased to win those little Plano containers. 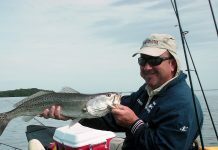 People caught fish on 12 Fathoms that had never used them before. More converts to a bait I use every day. 12 Fathom a supersponsor for 8 YEARS. The best plastic baits I have ever used: I cannot thank Craig enough for everything he has done for me the last twelve years. Joe Jigs: You got, a Joe Jig and an Edje. Quality choices in jigheads, Captain Joe has sponsored this event for 8 YEARS. I use their Silly Willy for my pompano, mackerel and silver trout fishing year round. I tie the teasers. They sell those too. 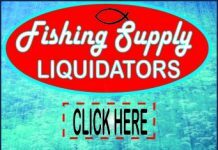 Fishing Supply Liquidators has been a big donating company all seven years. Their rod and reel donations sponsor our Junior Division. You need fishing tackle, not a bad idea to stop by here. Ron, usually there Sundays: Bob Kirby a lot of the rest of the time. They will see what you need and show you what they have. Smith Optics biggest sponsors every year of the event. Their donation like every other year was just incredible. Two of the sunglasses went to Winners and one ended up in the raffle (because there was not redfish caught in every division, those “prizes” reassigned to the raffle). Smith Optics has been and always will be my choice in eyewear for fishing. They have done a terrific job with this brand in the past ten years. I met up with the main man there at ICAST about nine years ago when he had a very small booth. I showed him the pair I had, told him I was impressed and we ended up spending a long time talking. They went aggressive after that. I would say that more people I know wear Smith Optics than Costa. They are that good. I tip my hat to Peter Crow. They sent fewer but they sent all the cleaning packets which were great and went a long way for our winners and raffle. Frankie’s Patriot barbecue: Gift certificate donated by Craig Gross. This place you keep hearing more and more about and is a destination that is on my list. If you haven’t been there: Put it on your list. This food is outstanding. My sunscreen sponsor: Sawyer Products, a Safety Harbor company with a great donation of sunscreen and bug sprays. Sawyer is the best sunscreen I have ever used. Very good to us: They will be involved perpetually. They donated both sunscreen and bug repellent. A huge supplier to the US military, Sawyer is a great company. I thank them for their generosity AGAIN this year. The 8th Avenue Pub, Safety Harbor. If you are looking for me you should try here. A donation of a gift certificate, won by someone who already likes the Pub. We will have angler socials at this location, and very likely, this will be the name of and location for the newest fishing club around. If you are looking for me, try the Pub. Stick It Anchor Pin. In the beginning, Russ would send three of these. He sent six. Huge for prizes, with the way things turned out I think two of these ended up in the raffle. A great piece of equipment, I know so many of you have bought them. We are pleased to have Russ involved every year. This is great for our event: Our winners and our raffle. These are incredible prizes. The Fish Grip. Tucker sent about 25 of these. Great for prizes, about half went to winners and half went in the raffle. This is a GREAT inexpensive piece of equipment. Most people own more than one. Great gift idea if you are buying for a fisherman. Scotty. Excellent donation AGAIN this year. We have so many kayak anglers we assigned these to winners and still had plenty left for the raffle. 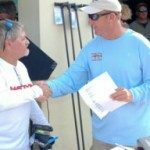 Scotty is the leader in kayak fishing accessories. They have an incredible line of product. A lot of you were smart enough to take one of their catalogs home with you. The Adventurous Woman, always worth mentioning. They have made a great donation over the years that has helped me a great deal. Moreover: Their ladies sign up for this event. That’s even better. BJ, Kay and Tillie, Gail: They fish in the event every year. Always impressed with how many of the ladies are always there, years later, I was tickled when a good number of them signed up to compete this year. Also, donations from Cindy Dalton and Donald Waiberman. Money I put directly toward the charity. I didn’t ask them for much. My affiliate store Bill Jackson’s gave me all the bags to put stuff in. They would have done anything I asked. I didn’t. 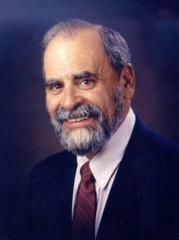 Darry Jackson has been good to me from the day I met the man. They are the best Outdoor store in the state. Hoo Rag: Another great donation for the second year. Great products, went to our winners and in the raffle. I will continue to stay in touch with them and keep them involved in the Captain Mel Classic. People really enjoy this stuff and they have told me that they have bought more from this company. That is why this program works. Our participants support our sponsors. In 2019 I already have two new sponsors that will be getting involved. I hope to get all the others back, which usually isn’t too difficult. Please let me know if you need any other information about any of our sponsors. If you or someone you know would like to become a sponsor, just set them up to talk to me. We would love it. New for 2018: The guys with Yakin Off. Decals, mugs, shirts. They came out at check in and they were there for the after fishing party. Great stuff. Great donations for our event. These guys had a great time meeting everyone. Jeff, a former client. Chris his business partner. I wish them great luck with their business. I had entertained thoughts of passing the torch. That was universally voted down. People believe I should remain the one handling the Captain Mel Classic. I maintain his web site. I still talk about the man more than anyone else does. I am still in touch with his wife and his son. 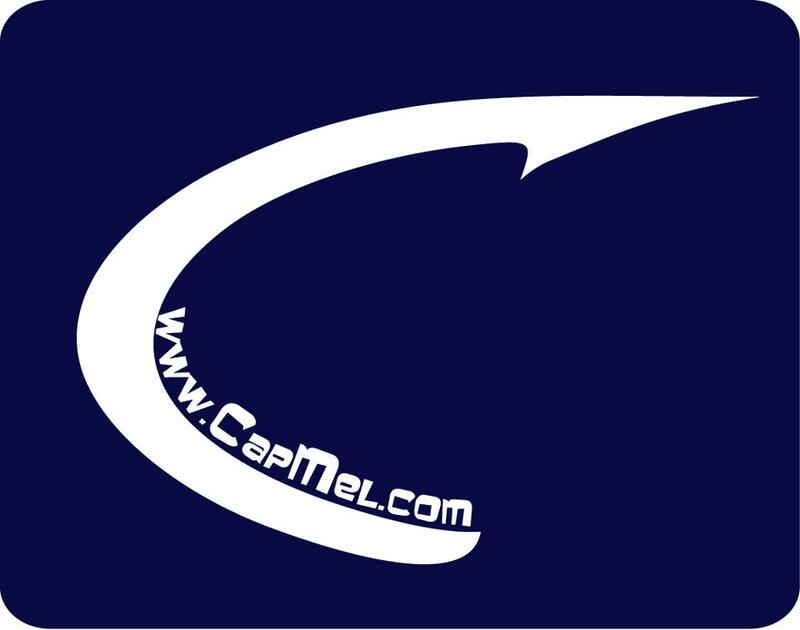 I will continue to run the Captain Mel Classic. Hard to believe, but: We will have an even better time next year!